This steaming summer has been one full of hard work, growth and pride for Cortel Group. As another season is about to pass, we have been looking to our future projects with eagerness and anticipation, while also taking time to reflect on the great things this past summer had in store. We have made headway on some of our most exciting projects yet. Keep reading to find out more about what Cortel has been up to the past few months. 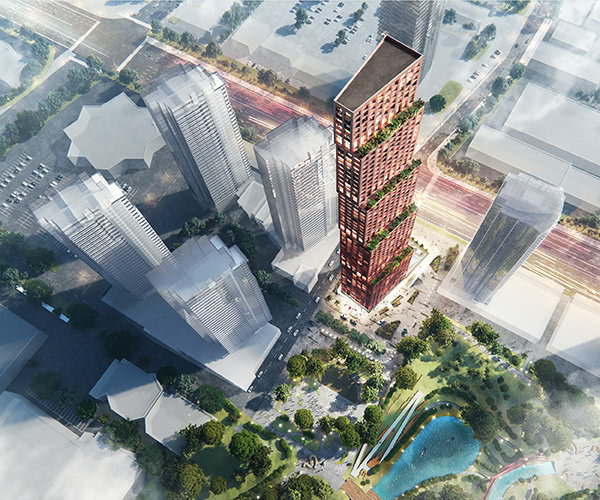 Cortel is excited to make our mark on the city by developing a dazzling structure that will not only transform the landscape of the Vaughan Metropolitan Centre development and Vaughan’s downtown core but will soon be the city’s tallest at 61 floors. Formerly known as “The Final Tower”, the official name has been released which reflects the pride and joy we feel in being a part of its monumental title, The CG Tower. Life in the CG Tower will be everything you’ve ever dreamed of, and more. Continue reading to learn more about it! This new complex will be positioned in one of the most sought-after locations in the city and conveniently surrounded by some of Vaughan’s most popular shopping, dining and entertainment spots! Close to Highway 400 and just steps from the VMC TTC Subway Station, your commute to, and from the surrounding areas will be quick and easy. The CG Tower has been masterfully planned to provide each and every one of its residents with the most enjoyable living experience, every day. The tower will have a rooftop terrace with a lush green area, as well as a pool, overlooking the stunning Edgeley Park and Pond. Here residents will be able to enjoy a relaxing swim or picnic on beautiful summer days. There will also be an indoor play area for children, as well as a trendy retail space for your convenience. The CG Tower has been thoughtfully and meticulously designed to exude character with its edgy and modern eye-catching exterior. The tower’s warm toned brick will make it refreshingly different from the abundance of glass condos and office buildings that are so prevalent throughout Vaughan and the GTA. The building’s interior design objective was to connect the inside with the beauty of Edgeley Park by using wood design elements as well as light strategies resulting in the tower’s natural look and feel. Don’t miss out on the chance to make your mark on the city by being a part of this new condo complex. Register to become our CFF- Cortel Friend Forever at http://cortelgroup.com/cgtower/ and be the first to receive up-to-date information about the CG Tower. Sales will begin this fall and construction is expected to be completed in 2021. BREAKING GROUND AT OAK & CO.
Another up-and-coming Cortel community is on its way, this time, to Oakville! Oak & Co. is a soon-to-be stunning condo that will be located in Oakville’s Uptown Core. Oak & Co. will provide all its residents with the highest-quality living space, with the added convenience of being 30 minutes from Toronto. 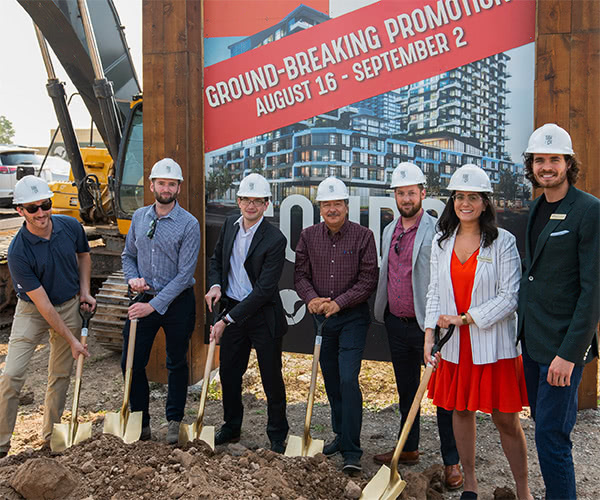 We are pleased to announce that on August 16th, Cortel Group, along with esteemed members of the town of Oakville, broke ground on the site of this future masterpiece. We would like to thank everyone who attended the ground-breaking ceremony and who contributed to its success! Take advantage of the opportunity to live in the thriving town of Oakville, which has garnered title of “Best Place to Live” in Canada for 2018 by MoneySense. 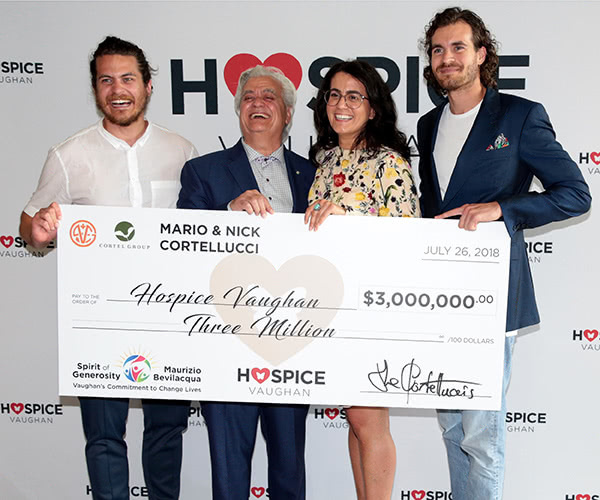 This past summer, we also had the opportunity to be the naming donor to the new Hospice Vaughan - The Mario & Nick Cortellucci Hospice Palliative Care Centre of Excellence. This facility acts as a beacon of peace and strength for individuals suffering during their last stages of life, as well as their families. Being a part of such a dedicated and trusted facility is extremely humbling for all members of Cortel Group as it allows us to give something back to the city we love. To learn more about Hospice Vaughan and how to donate, please visit https://www.hospicevaughan.com/donate-now/. Summer 2018 has definitely brought us much joy, and much to look forward to in the coming months. We press on with renewed excitement and zeal as we embark on the next chapters of our journey along with all of you.